This electrifying blue Zircon and diamond ring is perfect for adding some color to anyones jewelry wardrobe. The center is over 7 carats and has a bright blue color. 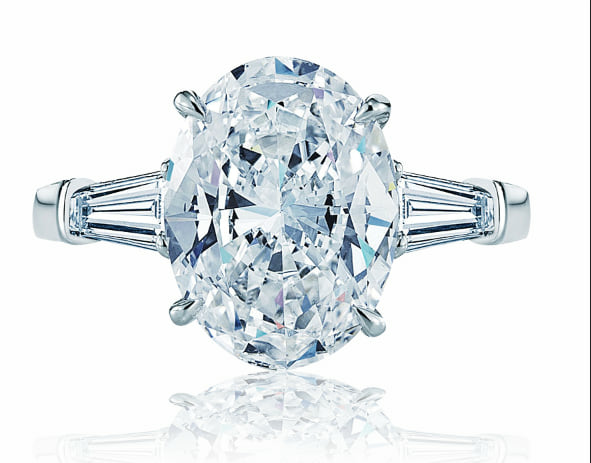 The center stone is flanked by two two half moon diamonds which have a color and clarity of F-G VS. The mounting also has .60 carats of matching white round brilliant diamonds set in a bright cut fashion in platinum. This ring and many others like it can be found at our Newport Beach location north of Laguna Beach and Corona Del Mar and west of Costa Mesa.